At the height of Guatemala's mass slaughters in the 1980s, including genocide against the Ixil Indians, the Reagan administration worked with Israeli officials to provide helicopters that the Guatemalan army used to hunt down fleeing villagers, according to documentary and eyewitness evidence. During testimony at the recent genocide trial of former Guatemalan dictator Efrain Rios Montt, one surprise was how often massacre survivors cited the Army's use of helicopters in the scorched-earth offensives. "one interesting thing that came out in the trial, as witness after witness testified, was a very substantial number of them talked about fleeing into the mountains and being bombed, attacked and machine gunned from U.S. planes and helicopters. "At the time this was going on, I was aware this was happening in some cases, but from the testimony of the witnesses, it sounded like these attacks from U.S. planes and helicopters were more frequent than we realized at the time. That's an example of how we don't know the whole story yet -- how extensive the U.S. complicity was in these crimes." Part of the mystery was where did Guatemala's UH-1H "Huey" helicopters come from, since the U.S. Congress continued to resist military sales to Guatemala because of its wretched human rights record. The answer appears to be that some helicopters were arranged secretly by President Ronald Reagan's National Security Council staff through Israeli intelligence networks. Rios Montt began pressing the United States for 10 UH-1H helicopters in June 1983, as his military campaign was ramping up. Since Guatemala lacked the U.S. Foreign Military Sales credits or the cash to buy the helicopters, Reagan's national security team looked for unconventional ways to arrange the delivery of the equipment. On Aug. 1, 1983, NSC aides Oliver North and Alfonso Sapia-Bosch reported to National Security Advisor William P. Clark that his deputy Robert "Bud" McFarlane was planning to exploit his Israeli channels to secure the helicopters for Guatemala, according to a document that I discovered at Reagan's presidential library. "With regard to the loan of ten helicopters, it is [our] understanding that Bud will take this up with the Israelis," wrote North and Sapia-Bosch. "There are expectations that they would be forthcoming. Another possibility is to have an exercise with the Guatemalans. We would then use US mechanics and Guatemalan parts to bring their helicopters up to snuff." McFarlane's approach to Israel for the helicopters was successful, according to former Israeli intelligence officer Ari Ben-Menashe, who described some of the history behind Israel's activities in Guatemala in his 1992 memoir, Profits of War. 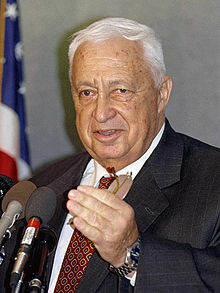 Ben-Menashe traced the Israeli arms sales to Guatemala back to a private network established in the 1970s by Gen. Ariel Sharon during a gap when he was out of the government. Sharon's key representative in Guatemala was a businessman named Pesach Ben-Or, and through that channel, Israel supplied military gear to Guatemala's security services in the 1980s, Ben-Menashe wrote. "They weren't for killing these people, not at all," Ben-Menashe said. "But they thought their interest was to help the Reagan people. If the Reagan people wanted it [the equipment sent to Guatemala], they would do it. [They thought,] "this is bad, but is it any of our business? Our American friends are asking for our help, so we should help them.'"